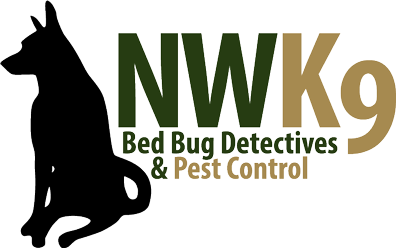 Northwest K9 Bed Bug Detectives uses heat to kill bed bugs. High heat and air flow will exterminates bed bugs once heat reaches 122 degrees. The thermal heat remediation treatments and new portable heating chambers both use heat to kill bed bugs and eggs. The chamber is great for people who travel frequently or buy used items and want to way to prevent infestations. The chamber uses high heat, fan and a sensor to confirm the heat is at the lethal temperature to eliminate bed bugs and eggs.